The Supreme Court limited a striking vulnerability for product manufacturers in Bristol-Myers Squibb Co. v. Superior Court of California this summer when it ruled that out-of-state plaintiffs could not simply claim injuries that were similar to residents to support specific jurisdiction, but must demonstrate a connection between the forum and the specific claims at issue. 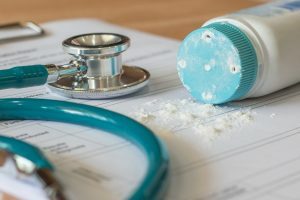 That decision was used by a Missouri appeals court last month to reverse a $72 million verdict against Johnson & Johnson which found the company’s talc products cause ovarian cancer. Several other hefty St. Louis jury awards involving the company’s talc products could now face the same fate. The Missouri case, Fox v. Johnson & Johnson, involved a St. Louis woman who was one of 65 plaintiffs (63 of which were non-residents) who claimed J&J’s Baby Powder and Shower to Shower talc products gave them ovarian cancer. The trial court exercised specific jurisdiction over J&J’s objection and motion to dismiss. The individual Missouri plaintiff’s case ultimately went to trial and Fox prevailed. The Supreme Court issued its ruling in Bristol-Meyers while J&J’s appeal of the Fox verdict was pending. The parties agreed that the decision was controlling, but disagreed as to the required result. Fox requested that the case be remanded to the trial court in order to obtain additional jurisdictional discovery under the “narrower standard” of Bristol-Meyers. Specifically, Fox contended that J&J’s relationship with a Missouri company that handled the production, packaging, and distribution of its products would support jurisdiction. The appeals court refused to remand, finding no precedent for a plaintiff to supplement its initial burden of proof so late in the litigation process. The jury verdict was reversed and vacated in reliance upon Bristol-Meyers. Similar decisions in other jurisdictions are expected. Simply marketing or even selling products in a jurisdiction no longer is enough for the proper exercise of personal jurisdiction. The claims must have a connection to the forum. If the claims are unrelated, Bristol-Meyers may well dictate dismissal for want of jurisdiction.